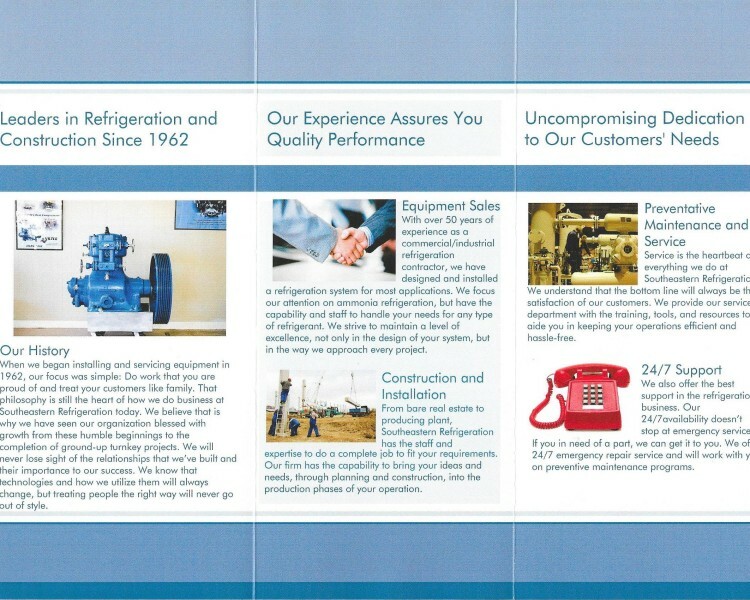 This is the inside of the 8-1/2″ x 11″ trifold brochure that I created for a friend of mine. It’s not fair to say that I designed it, but I did write the content, pick the graphics, and took it from development to print. The rest of the brochures that I created, I designed from the ground up. I began using Adobe Creative Cloud (Photoshop, Illustrator, and InDesign) shortly after producing this in summer of 2014.